Potter and Ford have partnered with the UK's property auction experts Auction House to help even more people to buy and sell at auction. If you want to find out how much your property could be worth at auction, contact us directly, or learn more here. 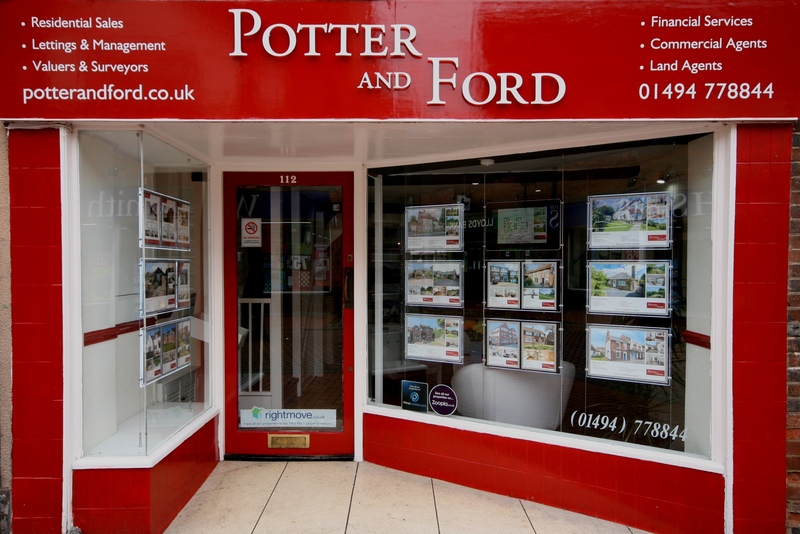 Potter & Ford were first established as an Estate Agent in Chesham back in 1821. Today we are a very different company, however an important part of our business is still successfully matching people and businesses with property as well as also providing additional valuable services to the local community. In total, we have seven departments within our prominent High Street location in Chesham and beautiful Village location in the centre of Chesham Bois, Amersham, all committed to providing our clients with a personal service. Our staff live within the area we serve, resulting in excellent local knowledge. These factors, together with our wealth of experience, should result in Potter & Ford being your first choice when looking to sell/purchase or to let/rent a property. We also have our dedicated Commercial team, Surveyors, Mortgage Brokers and Financial Advisers. Please visit the Contact Us page for our opening hours. Located within the Buckinghamshire countryside in an area of outstanding natural beauty yet only 28 miles from London, Chesham and Amersham are a successful combination of market towns, commercial centres, commuter dormitories and bustling communities.